There are so many hotels in Jamaica that you're bound to find a few that are right for you. The problem may be too many choices! If you're looking for a hotel in Jamaica, try and decide on which parts of the island you're most interested in seeing, then take it from there. You may want to mix it up a little, and try staying in different locations if time and finances permit. 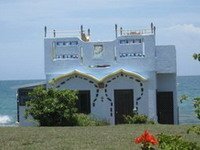 Below you'll find links to Jamaican accommodation, in some of the most interesting parts of the island. Just click on the links to see hotels in that part of Jamaica. 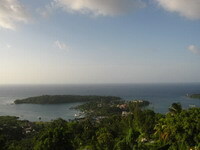 As is customary on Real Jamaica Vacations, we start with St. Elizabeth first. Black River Safari, YS Falls, Pelican Bar, Maggotty Falls, Hiking, Accompong Maroon Village, Appleton Estate Rum Tour, Bamboo Avenue, Historic Black River Town, Middle Quarters Shrimp Country, Fonthill Beach, Treasure Beach, Calabash Literary Festival, spectacular sunsets. Great for the laid back, easy going traveller who wants to experience rural Jamaica and Jamaican people as they go about their business. Seven miles of white sand, Rick's Cafe, Kool Runnings Water Park, Royal Palm Reserve, Spring Break, Margaritaville, watersports, live music, sunsets and more sunsets. Extremely wide array of accomodation choices. 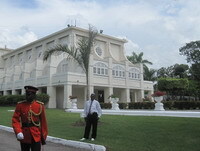 Rose Hall Great House, world class golf courses, shopping, vibrant nightlife, beautiful beaches, gaming. Jamaica's second largest city boasts many hotels and guesthouses, and has a bustle all its own. One of Jamaica's two international airports, Sangster International, is located here. Dunn's River Falls, Dolphin Cove, Mystic Mountain, Nine Miles (Bob Marley's birthplace), horseback riding, nightlife. Rafting on the Rio Grande, Boston Jerk Pork, Hiking in the Blue Mountains, Port Antonio Marina, Somerset Falls, Reach Falls. For those who appreciate and like to explore nature, Port Antonio is the lushest, greenest part of Jamaica, with gorgeous scenery. National Gallery, Port Royal, Devon House, Bob Marley Museum, cricket, sports meets, exciting nightlife, theatre, music, shopping, business. Something's always happening in Kingston, the premier place to experience urban Jamaican culture and the visual and performing arts. 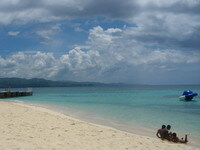 The hotels in Jamaica vary from very basic accomodation to ultra-luxurious resorts and villas. With a little effort you'll be sure to find the one for you. Happy hunting!